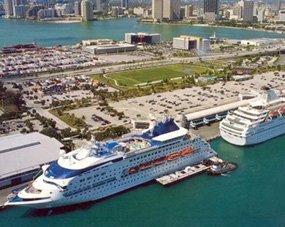 The Ramada Inn at Ft Lauderdale Airport and Cruise Port in South Florida is not the only budget-friendly lodging; we are affordable as well and we are also very reliable. Book us and you will never regret the decision! We offer you very high standards of hospitality and the lowest room rates when you book with our hotel directly. We assure you of a clean, comfortable room, fully equipped with modern amenities that function exceptionally well. Guests who frequently use the Quality Inn & Suites Hotel, as their home away from home publish glowing testimonials about us. We are proud to direct you to them. Our hotel is the perfect destination for all types of travelers. 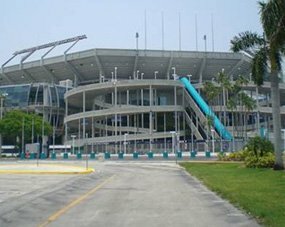 Whether you are a business executive on a short mission in South Florida or a delegate attending an extended conference, we are ready to facilitate you. 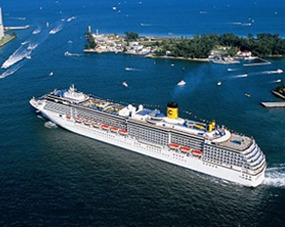 Numerous cruising families find our hotel ideal as a port hotel, due to our convenient location near to Port Everglades. Confidently book us! Quality Inn & Suites Hotel offers great value. Plus, we throw in extra perks. We provide FREE WI-FI, daily continental breakfast, a large heated pool and beautiful tropical gardens with interesting bird life and exotic foliage and flowers. Spend your days lazing around our pool and strolling our peaceful grounds. We are a smoke-free, pet friendly hotel with one main mission, and that is 100% guest satisfaction! Stay with us and become our number one priority! Our staff workers, at all levels, are very competent. Beyond that, they are dedicated and would willingly go the extra mile to facilitate and please you completely. You are at a clear advantage staying with us for a few days or even longer! Always BOOK DIRECT with our hotel, so as to capture the lowest room rates. 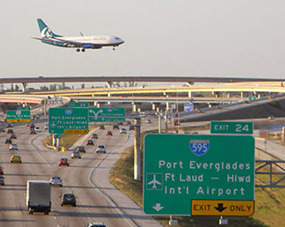 We outpace the Ramada Inn near FT Lauderdale airport and cruise port!